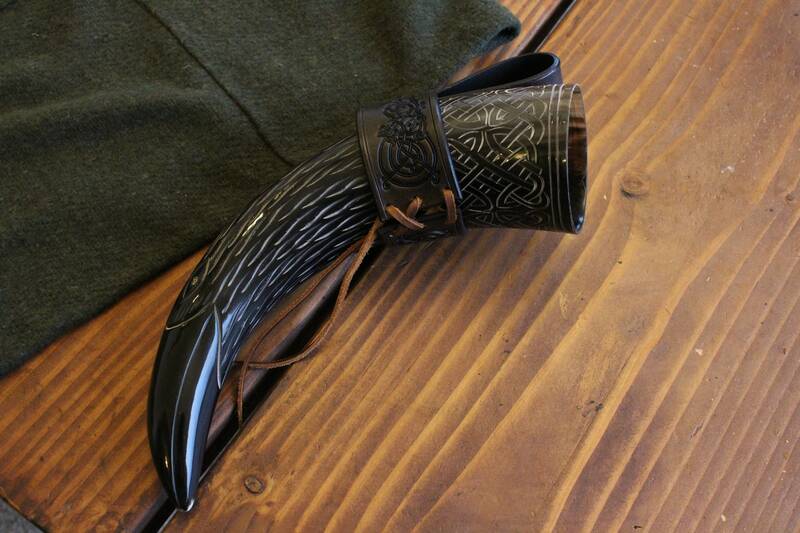 The horn you see if the one you get in this listing, No substitutions on horns or holders or changing leather colors. included in the price is the hand crafted leather holder at a 5$ discount as a holiday sale only! 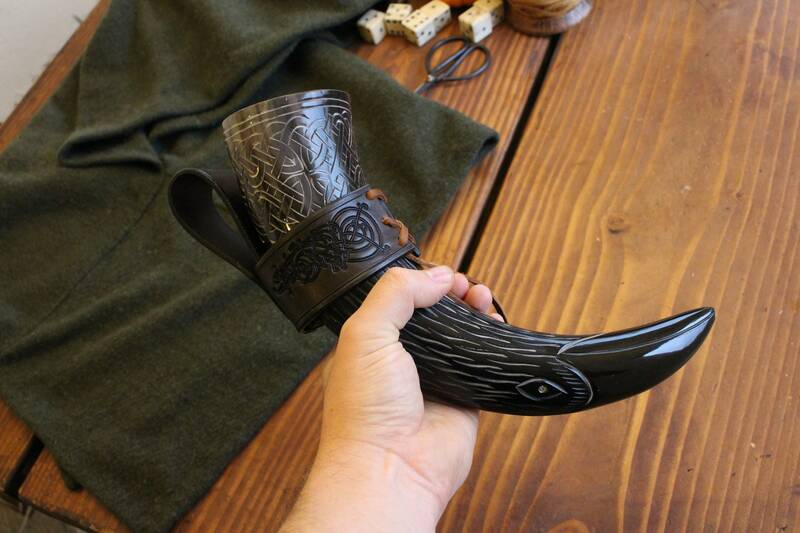 This is a large hand carved drinking horn, made from a real steer horn. 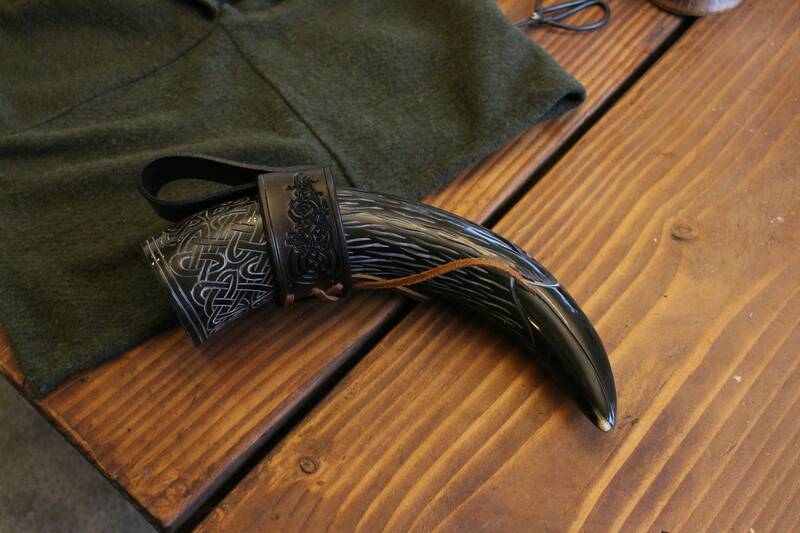 I scrub and clean all the horns inside and out, they are hand sanded and sealed with a food safe water sealant. May your horn never empty!